National Geographic invites photographers from around the world to enter the 2018 Travel Photographer of the Year contest. 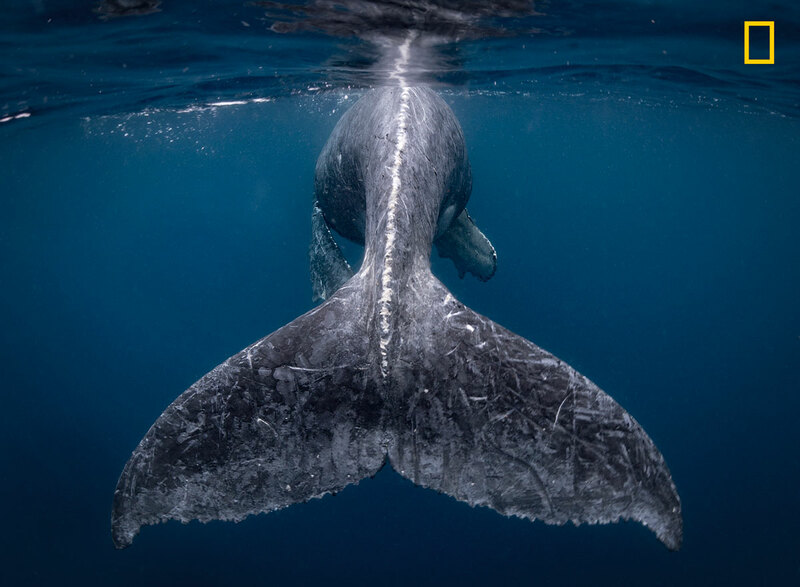 The grand-prize winner will be awarded $10,000 (USD), have his or her photo posted on the @NatGeoTravel Instagram account, as well as earn the prestigious title of National Geographic Travel Photographer of the Year. The contest is open now and entries must be submitted by May 31, 2018, at 12 p.m. EST. Eligible contestants can visit natgeo.com/travelphotocontest to submit their best photos in any or all of the three categories: Nature, People and Cities. The entry fee is $15 (USD) per photo and there is no limit to the number of photos an entrant can submit. A panel of judges, selected by National Geographic Travel, will choose a winner in each of the three categories. One of the category winners will be named the overall grand prize-winner and the other two category winners will each be awarded $2,500 (USD). 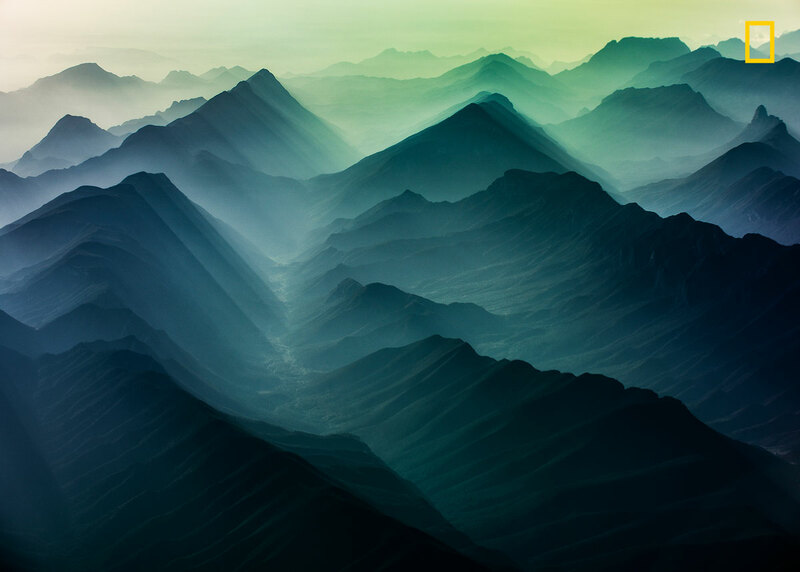 Below you will find a gallery of early standouts from the ‘Nature’ category that our friends at National Geographic let us share with our readers, enjoy! After this shot i have been traveling the same route several times. I could not see the landscape I saw when i shot this picture again. that morning the light and shadows over the coordillera were just perfect. the moment i had to shoot this series will remain in my memory as a special gift from nature. 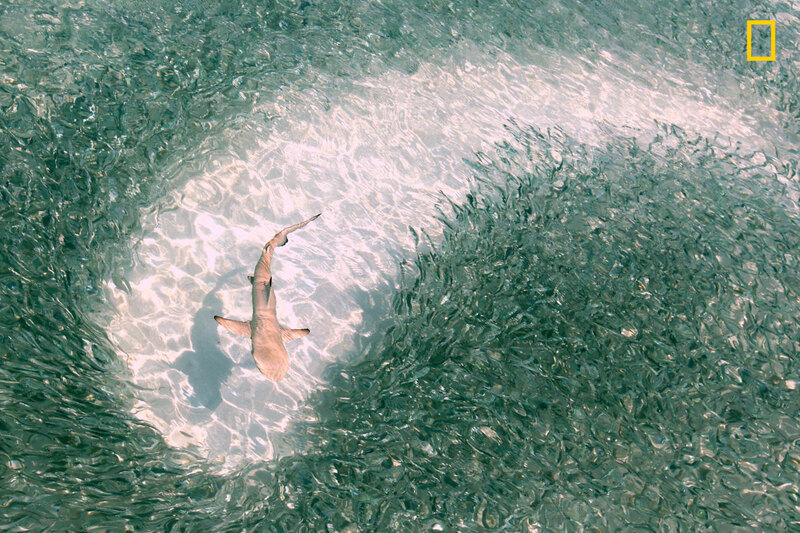 A baby black-tip reef shark swims through a swarm of silver sprats at lunch time in the lagoon of Mirihi Island in Maldives. One shot capture. I watched the leopard stalking the stork, I only had time to focus at 400mm, no time to change to high speed, I watched the stork and as soon as it flapped its wings I shot one shot. 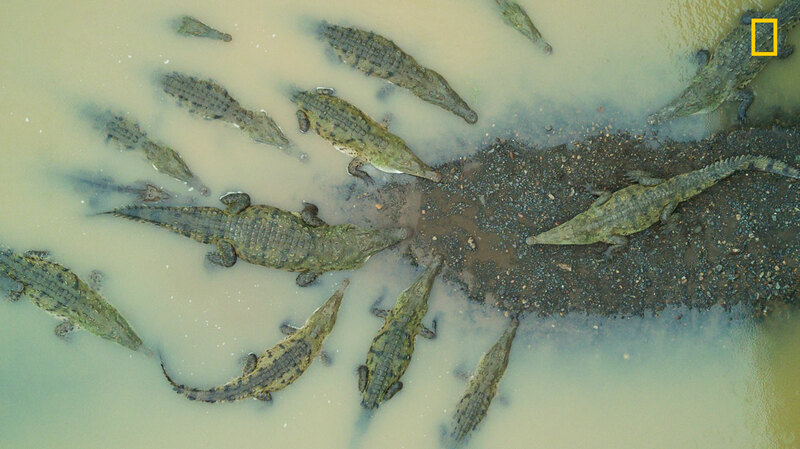 When we arrived at the rio tarcoles in costa rica and I saw what a fantastic formation the sharp-mouthed crocodiles are, I could not help myself, I started my drone and begun to photograph them from the air. My heart was beating like crazy because I was incredibly excited, on the one hand I was a bit scared for the drone, on the other hand I was so happy about the unique moment. Hiking in South Tyrol is a one of a kind experience. 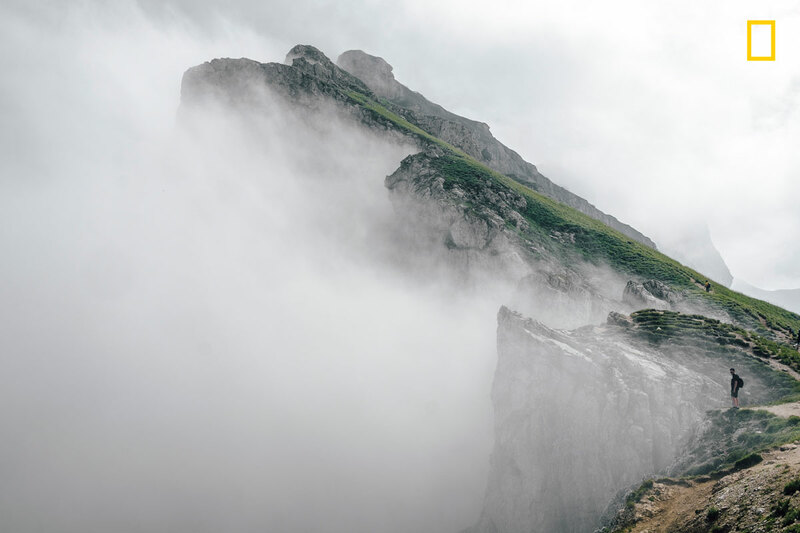 it was the first time I was walking so close to the edge of a mountain, almost surrounded by clouds. 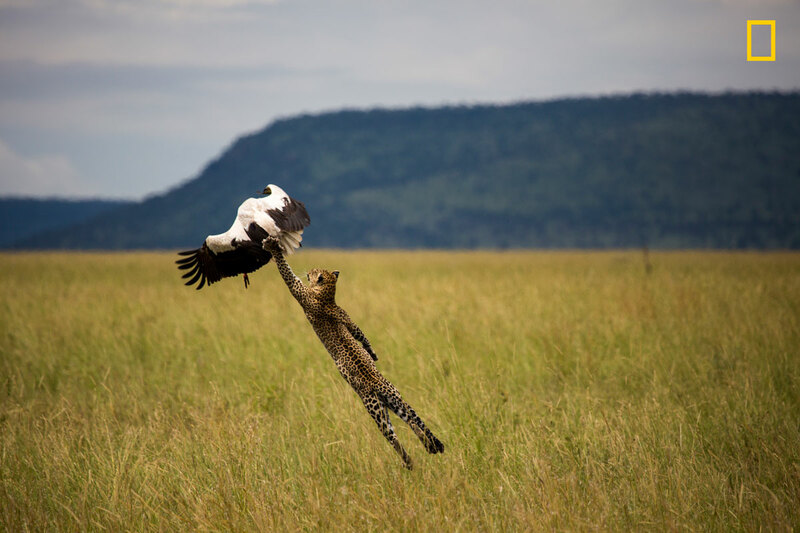 Nature’s power in these situations remind us that we’re only guests on this planet. Upon leaving Ngorongoro Crater headed towards the Serengeti, we came across a hillside full of giraffes. After a little coaxing by me, our driver guide, “James Bond” took us off-road and drove us right to them. 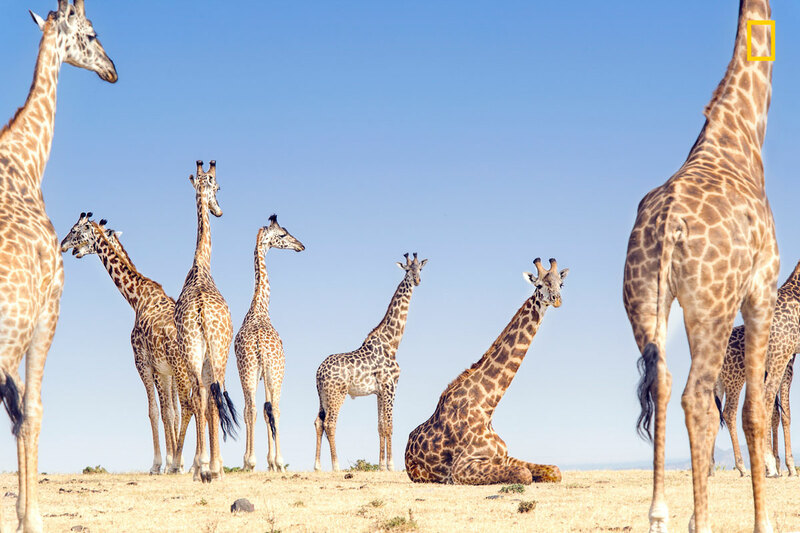 I had always heard that giraffe don’t sit, so this photo debunks that myth. This calf was always with mom. A curious calf sometimes came to us. We live in an Instagram/Facebook/etc world. Every photo has to be *THE* photo. How can you live up to that? Everyone’s life/experience seems better than yours. But, it’s not true. Leopards can be really hard to see. 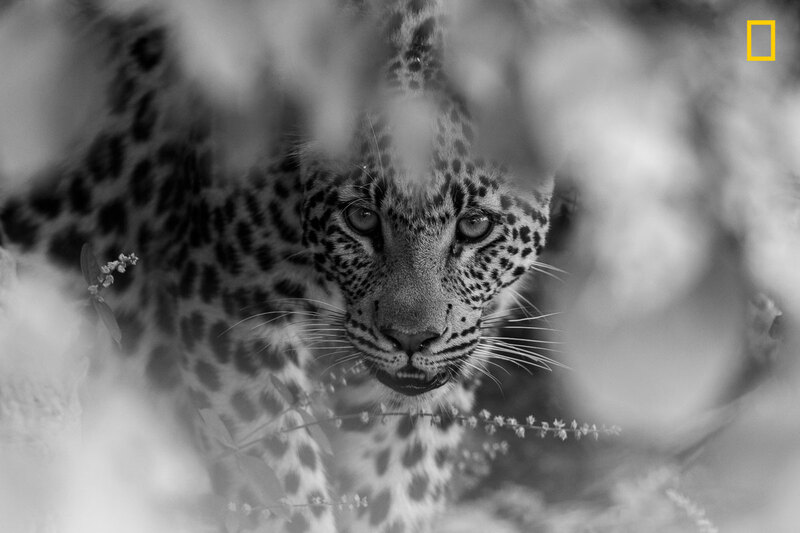 Even if you go on the ultimate trip, you might see just one – one single leopard. You may get a really bad cramp contorting yourself to get any shot. You may think you failed. And maybe you did fail, but it doesn’t mean your trip or experience is any less than anyone else’s. 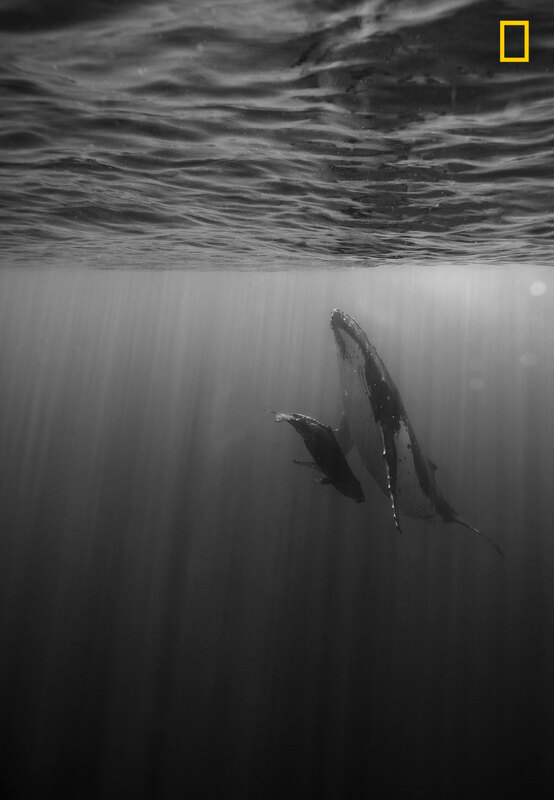 After more than two hours in the water , on my last day after three weeks,my frustrations went all away when the unexpected happened, the mother just put herself on position VERTICALLY, the calf was going to have a feed. At the time , i had no words to express what i was seeing, it was so emotional, i kept my distance, i didn’t want to disturb that moment, the mother usually turn on the other side, they often do that but she allowed me witness this particular moment between her and her calf.